I’m Overwhelmed With All This Debt!! I hear this comment a lot from clients. The level of stress that a mountain of debt can produce can literally be overwhelming. Credit cards, medical bills, payday loans, old utility bills, cell phone carriers, overdrawn bank accounts, deficiencies from a repossession, past due loans, etc. All of these things can build up and spiral out of control. And your life can seem like an inescapable trap. But it does not have to remain this way. In fact, the relief that you seek is more easily attained than you may think. For instance, when you file a St. Louis Chapter 7 bankruptcy, all of your unsecured debt (the stuff mentioned above) is discharged. This means that the debt goes away forever. The creditors cannot demand payment from you anymore. The creditors cannot call you anymore, or write you letters, or harass you at work. And you are not obligated to pay them anything ever again, or explain anything to them, or even talk to them. They are all gone, in one fell swoop. Once this discharge occurs, you will be in a perfect position to begin rebuilding your credit score. Most people who file a Missouri or Illinois bankruptcy will typically find themselves making major purchases (like a house) within two years, and reestablish a good credit rating within one year. Or if the better option for you is a St. Louis Chapter 13 bankruptcy, then the relief from debt is handled in a slightly different way. A Missouri Chapter 13 is a repayment plan. This allows you get caught up on things like your mortgage (so you can save your home from foreclosure), to make sensible payments on your car (so that it does not get repossessed), take care of your tax debt, and come current on any back child support obligations. All of these kinds of debts are consolidated into one easy, monthly payment to the Trustee. The Trustee then distributed the funds to the various creditors listed in your Chapter 13 plan. But the biggest benefit to this entire equation is one that has not even been mentioned yet. That is the fresh start / clean slate that the court gives you when you file for bankruptcy. Yes, it’s an opportunity to get relief from your creditors attacks; yes, you will now be able to answer your phone; yes, you will have a chance to finally breathe easier. But the biggest bonus is the chance you will be given to start out fresh again in life. The slate will literally be wiped clean, and you can move forward without the burdens of the past. This will enable you to rebuild your credit, reach your goals, and begin living the life that you once had. 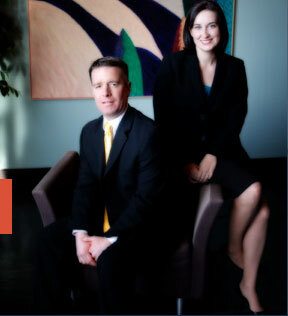 The affordable St. Louis bankruptcy lawyers at Brinkman & Alter, LLC have been helping people get to where they need to be in life for over ten years. Our team of professionals has the necessary skill, knowledge, and expertise to guide you through the entire bankruptcy process from start to finish. We want to make sure that you understand your rights, explain all of your options, and let you decide what is best for you and your particular situation.